Nutrition and supplementation in strength training | Calypso Fitness S.A.
You already have a great training plan. You do not lose motivation even for a moment. You conscientiously work out every training at the gym. You are regular in what you do, and you pay attention to it. You try to eat healthy, even counting macronutrients in your diet, partying less and limiting alcohol. You are kind of satisfied with the effects, but not quite. What can you still improve? - you are constantly bothering about this question. 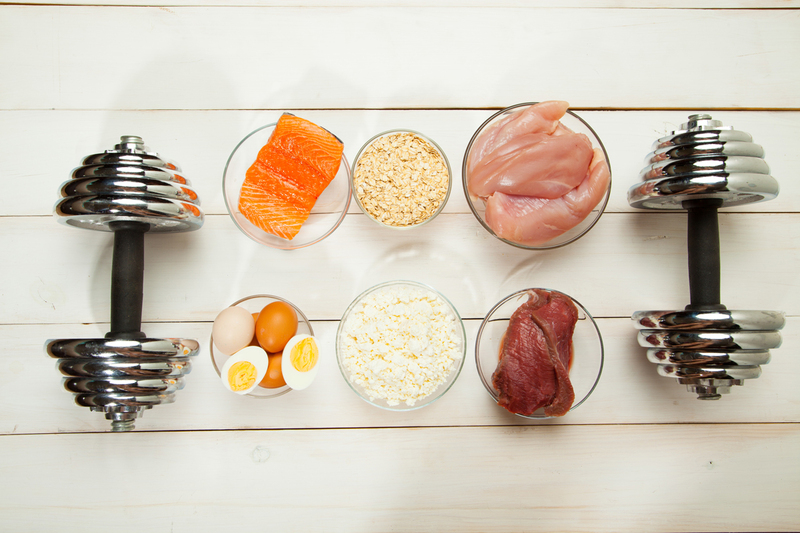 Nutrition in strength training can be much more difficult than it seems at the glance. Today, we will talk about how to "tweak" our effects by focusing on meals and supplementation around training, more strictly before and after training and during it. What and when to eat before training? This is one of the most frequent questions of my new mentees. There is no unambiguous answer. A lot depends on the time of training, its character, or the pace of work of a person's digestive system. No less important is the composition of the meal. Let's start from the beginning. Strength training means performing anaerobic exercises. In short, this means that muscular glycogen is used for the energy needs of the body. This glycogen accumulates in muscle tissue and is made of glucose. Glucose is a simple sugar (monosaccharide), formed as a result of the breakdown of complex sugars (polysaccharide) in our digestive system. Complex sugars by contrast are otherwise known as carbohydrates, and this name certainly says something to you. Carbohydrate-rich products (which carry energy for our muscles during exercise) include: cereals (rice, oats, corn, wheat, barley, rye), cereal processing products (bread, pasta, cereal, rice wafers, all kinds of cereals), vegetables (potatoes, beans, peas, soybeans, lentils, chickpeas) and fruits (bananas, raisins). Based on current information, you already know that carbohydrates are necessary to persevere in training effectively and without fatigue. An energetic meal should also be supplemented with protein to increase the nitrogen balance of the body (indispensable for muscle hypertrophy). When to eat before training? First, let's decide how much time we have to start exercising and learn about the possibilities of your metabolism. The size of the meal is also important. Rule number one - the more time you have to start training, the larger the meal containing complex carbohydrates. The less time, the smaller the portion, and the simpler the carbohydrates. A good example of a meal for 3 hours before training will be a bag of rice (100g) for lunch or a solid portion of oatmeal (100g) for breakfast. An option for half an hour before training to add strength will be one banana or two. I doubt that anyone eating a huge plate of boiled potatoes or two plates of thick pea soup an hour before training felt good during training. It will be obvious that the stomach contents are retained, dizziness may occur (most of the blood drains from the brain and muscles to organs responsible for digestion) or vomiting in extreme situations as the body's response to effort, which will get rid of the "problem" that interferes with training. Will we find the strength to continue it later? What supplements to support before training? BCAA (Branched Chain Aminoacids) protect muscles against catabolism. These amino acids are converted into glucose through the gluconeogenesis process and further into energy when the muscle glycogen is exhausted. When we do not supplement with amino acids, the body begins to break down (catabolism) its own proteins (muscle tissue). For this reason, BCAA is preferably taken between strength and cardio training if we do one after the other. Branched chain amino acids do not require digestion as for example protein supplement (and so they will not be stored in the stomach), therefore they are perfect as anti-catabolic muscle mass during aerobic training. If we want to increase our exercise capacity in a simple way, I recommend supplementing creatine. It increases endurance, strength and influences the development of muscle mass. It is the best and most-studied supplement that works already after a few days of its use, additionally without any side effects. Creatine occurs naturally in the human body, but its quantity is not enough to significantly increase sports results. The operation of this measure is based on its ability to accumulate the purest form of energy - ATP. Under the influence of muscle contraction, ATP disintegrates into ADP, which releases energy. In order for the muscles to continue to have energy for contraction, ADP to ATP must be resolved, which is mediated by phosphocreatine. When creatine is lacking in our system, the phosphocreatine level is also low which causes premature fatigue and reduced exercise capacity in training. The standard dose of creatine is 5g per day. If we are sleepy or tired immediately before training, and yet it is a pity to let go, it is worth stimulating the natural stimulant which is caffeine. Contained in coffee affects our nervous system. Temporarily increases the endurance and efficiency of the body. Its dose should be between 3 and 6 mg / kg of body weight. 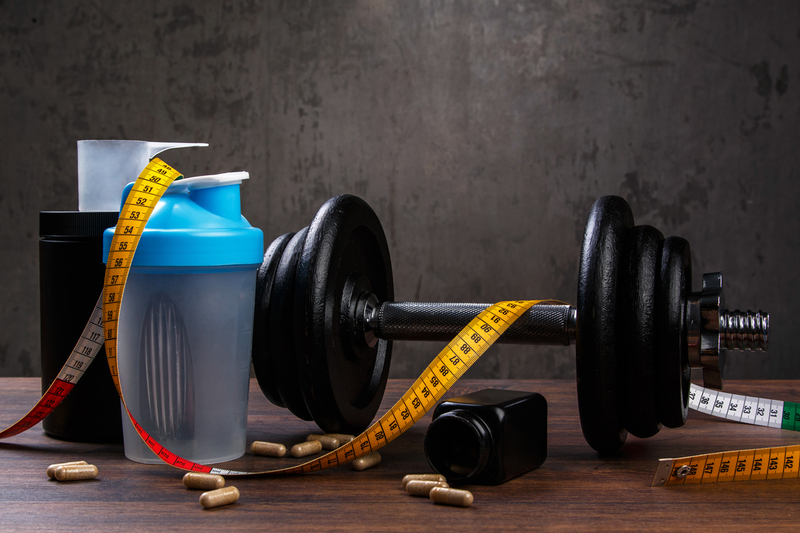 What should you eat and supplement after training? After training, the most important is the high quality and quickly digestible source of protein. The best solution would be a liquid protein shake because of the short time it takes to digest and absorb it. Carbohydrates and their type (high or low glycemic index, i.e. fast or slow absorbable) in a post-workout meal are of secondary importance. We do not need to rebuild energy reserves as soon as possible. The exception is if a few hours after one training unit awaits us the second. Then we need to renew glycogen stores in our muscles as quickly as possible. Carbohydrates with a high glycemic index (eg cornflakes) are ideal for this. Remember that after training, the most important thing is to provide the body with protein for rebuilding, and before training, the source of energy or carbohydrates. 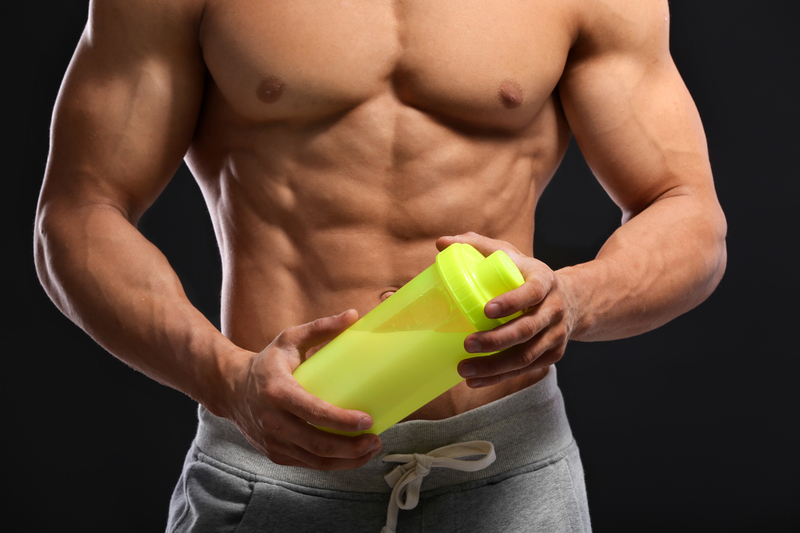 After training, we can supplement creatine. If the daily recommended dose is 5g then you can take 2.5g immediately before and after exercise. You can drop other post-workout supplements at the beginning. Fats can be found in every meal except pre-workout and post-workout. Due to the length of digestion and other type of energy source we need, they are not recommended before training. After training, however, given with protein, would significantly slow down the protein absorption processes, which may result in delayed regeneration and recovery of our muscle tissue. An optimally planned diet strategy and "timing" of meals will contribute significantly to increasing our results during regular training. Approach on the principle of "training is 30, and diet 70% success" is wrong. Both training and nutrition should be treated equally at 100%. Focusing on both aspects will allow you to build a life form. I am a man full of ideas, following his passion, so for five years I have been dealing with the personal development. Initially in the field of strength training, and for two years I have been fulfilling myself as a personal trainer. Since 2016, I am a specialist in the field of strength training certified by the Polish Academy of Sport. I gained my first experience in the largest network of fitness clubs in Poland – Calypso. So far, I have had the pleasure to cooperate individually with over 100 people who, thanks to regular exercises with me, met their goals and achieved measurable effects on their own body shape, physical condition, strength and fitness. I share knowledge with everyone, but most of all I inspire passion.